Carmelita “Carmen” Escalante, MD, is a graduate of Nicholls State University and Louisiana State University School of Medicine. 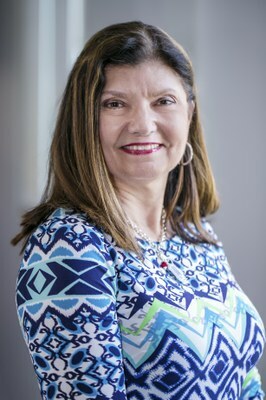 Carmen serves as Chair and Professor in the Department of General Internal Medicine in the Division of Internal Medicine at The University of Texas MD Anderson Cancer Center in Houston, Texas. She enjoys teaching and mentoring others, specifically faculty, and routinely lectures to various groups on internal medicine topics in cancer patients. As a faculty mentor for high school and college students in MD Anderson’s Institutional Summer Research Program, she has an opportunity to meet and interact with many students. Carmen was named a Top Doctor in Houston in 2013 by the International Association of Internists (IAI) and was voted on of 2011-2012 Best Doctors in America by US News and World Report. She was named Outstanding Alumna of Nicholls State University in 2009, and subsequently served as NSU’s 2010 Spring Commencement Speaker. She is a member of several professional organizations, including American Medical Association, American Society of Clinical Oncology (ASCO), Association of Chiefs of General Internal Medicine and Houston Society of Internal Medicine.